Smoking less than a pack a day? Looking to cut back or quit smoking and manage your cravings fast? 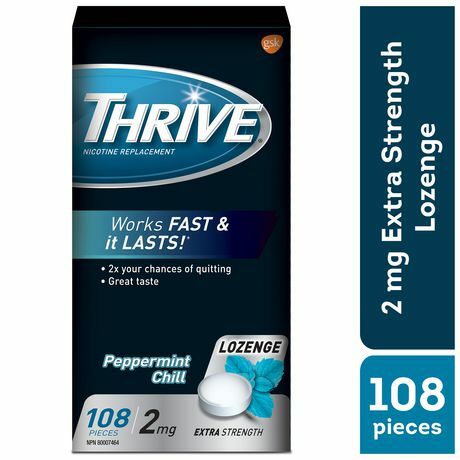 Thrive 1mg Peppermint Chill lozenges deliver nicotine to control cigarette cravings fast. •Thrive 2mg Regular Strength Peppermint Chill lozenges provide a release of crave-busting nicotine to quickly satisfy your cigarette craving. 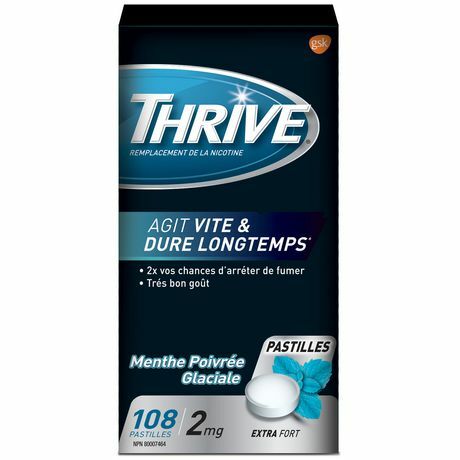 •Convenient and discreet, Thrive lozenges help manage urges in almost any type of situation, no matter where you are. •Trademarks owned or licensed by GSK. ©2017 GSK or licensor.